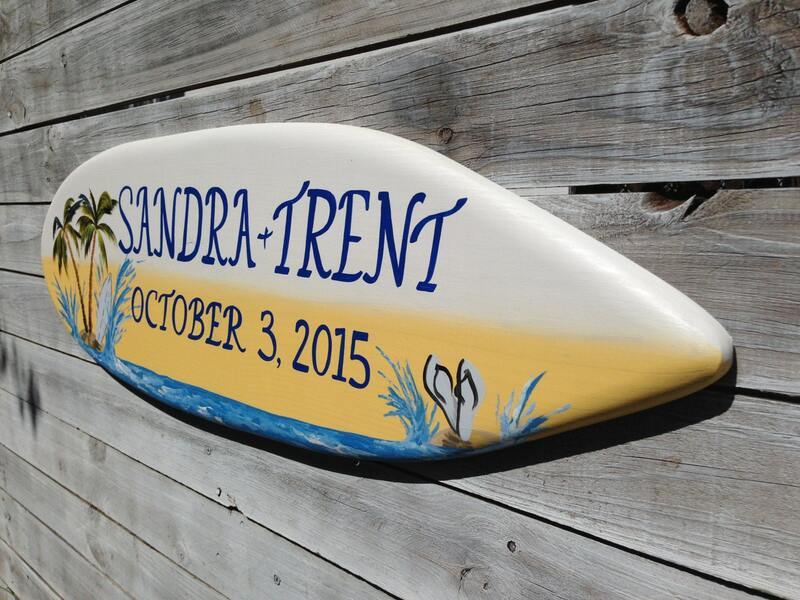 This surfboard beach wedding wood sign designed to replace traditional beach wedding decorations. This is the perfect way to capture your wedding memories and doubles as a beautiful piece of art for your home for years to come. 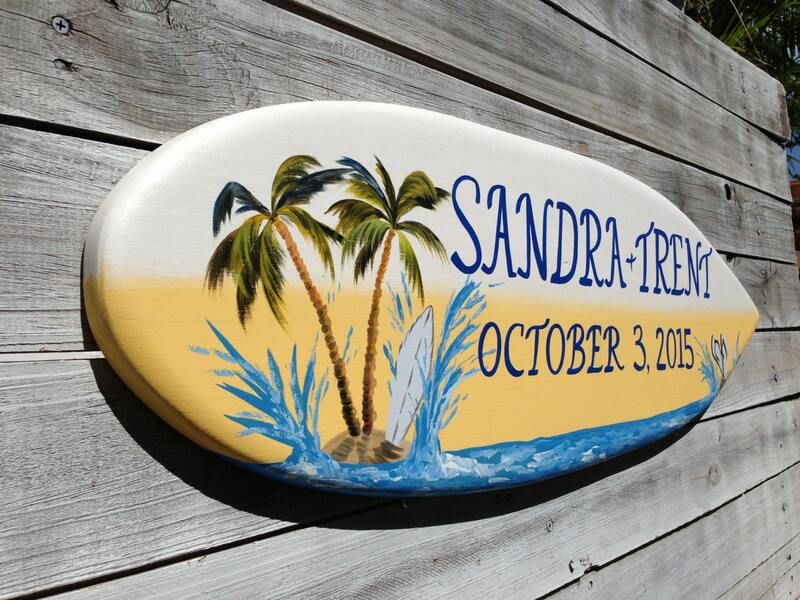 The sign made from high quality wood, hand painted and coated in Key West special for you. 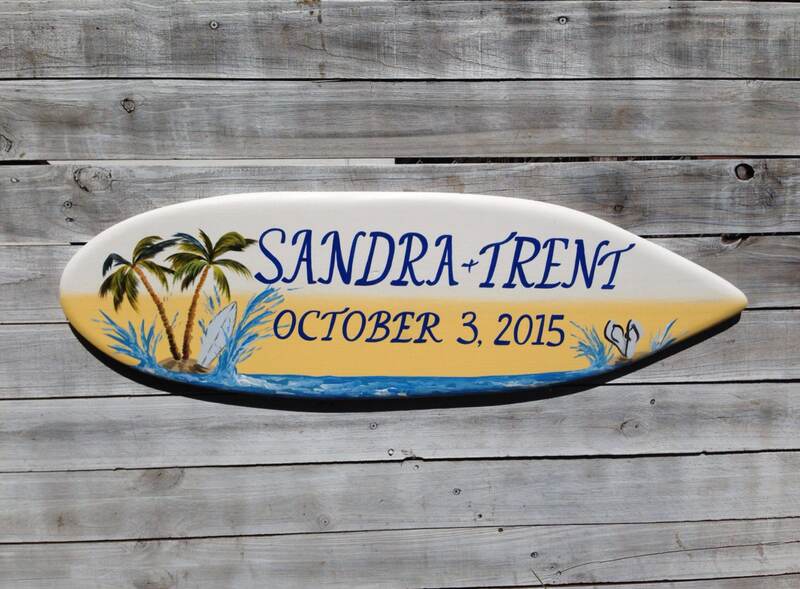 Personalized it with your names. 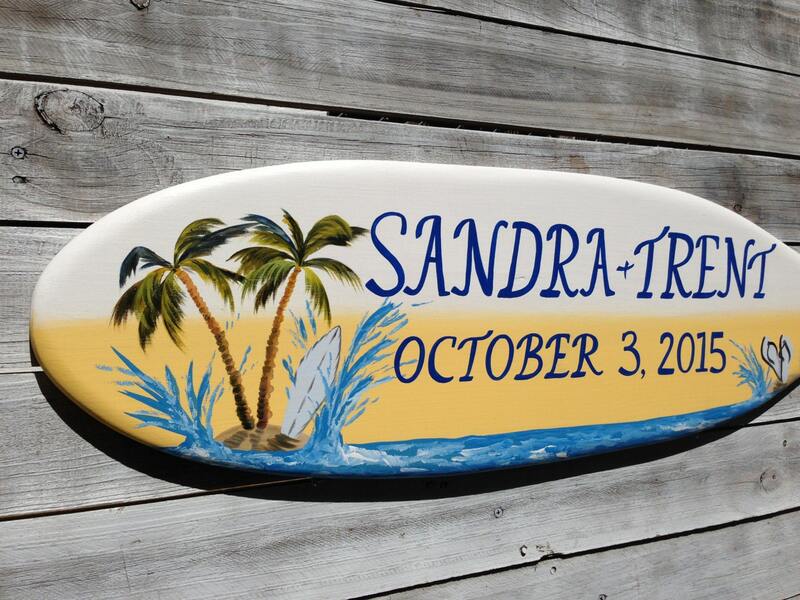 Choose any wording, colors to match your wedding style. 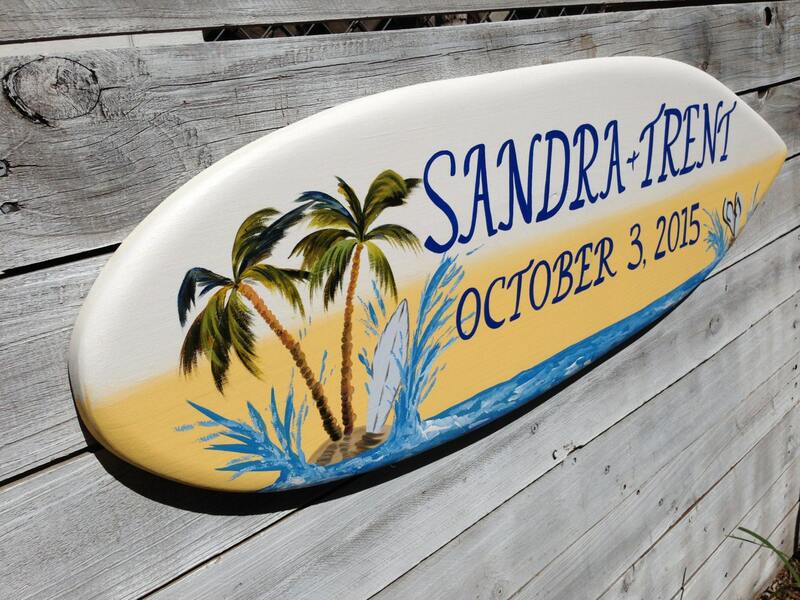 Choose anything you like to paint on your surfboard sign: palm trees, flowers, etc.. Just message us before ordering and we will find right design for you. Different sizes available from 3 to 5 feet. All boards are 12 inches wide. Comes with two key holes on the back side for easy and fast wall hanging. Ready for indoor and outdoor displaying.